Spring Training is a week away and that means we’re now in rule change season. Or, more accurately, rule change proposal season. Each year around this time MLB and the MLBPA propose ways to theoretically improve the game, and every so often rule changes are implemented. Last year mound visits were limited for the first time. Over the last 24 hours or so multiple reports say MLB and the MLBPA are discussing a variety of rule changes that could take effect as soon as this season. Some are minor tweaks. Some are major alterations that would change the way teams build their rosters and use their players. Will we see any changes in 2019? Who knows. All we know is they are being discussed. Jeff Passan, Joel Sherman, and Ken Rosenthal (subs. req’d) have reported on the various rule change proposals over the last day or so. Let’s go through them and see how they will impact the Yankees, if at all. Just to be clear: These are all proposed rule changes. Nothing has been made official yet. The side that made the proposal is in parenthesis. Hooray for a universal DH! Pitchers are terrible hitters — they hit .115/.144/.148 (-25 wRC+) in over 5,100 (!) plate appearances in 2018 — so let’s get real hitters in there. A universal DH doesn’t do much for the Yankees though. They play ten or so interleague road games each year and at most four road games in the World Series. The union wants a universal DH this coming season but it seems likely to wait until 2020. They can’t just drop this on National League teams days before camp opens, you know? I am pro-pitch clock and 20 seconds is a good number. Aroldis Chapman (averaged 28.4 seconds between pitches last year) and Masahiro Tanaka (26.1 seconds) are by far the worst offenders among current Yankees. They’ll have to adjust and pick up the pace a bit. Otherwise a 20-second pitch clock will require minimal adjustment for current Yankees and most pitchers around the league. Remember, there’s a pitch clock in Double-A and Triple-A, so lots of pitchers have experience with them already. As for the draft penalties for tanking, it sounds as though the plan is to punish teams that don’t win a certain number of games. Lose this many games and your first round pick moves back a few spots. Lose that many games again the next year and the pick moves back even further, so on and so forth. The Yankees are (probably) never going to intentionally tank so this has little impact on them. If they lose enough games to get hit with the penalties, it’ll be because everything goes wrong. End spring games after ten innings? Use the tiebreaker rule in the All-Star Game? Who cares, do it. Those games are meaningless. Miking up more players would be fun and I am pro-fun. Let’s hear some Didi Gregorius banter during games. Shortening commercial breaks is cool with me. We already have split screen advertisements during mound visits and even between pitches. Replacing 30 seconds of commercial break with 30 seconds of split screen ads is fine with me. Thirty fewer seconds between half-innings shaves at least 16 minutes off the time of game. MLB proposed the three-batter minimum for pitchers, and while the MLBPA is reportedly open to the idea, they want it tested in the minors in 2019 before being implemented in the big leagues in 2020. The league wants it right away. The minors are for development. You don’t see many one or two-batter matchup relief appearances down there. Testing it in the minors is a way to push it off a year more than anything, which I think is necessary because teams already have 2019 roster spots earmarked for matchup relievers. Can’t drop this on clubs with this little warning. I don’t like the three-batter minimum because I think teams should be able to use their players however they want. Both sides seem to support this though, so I guess that means it’s inevitable. The Yankees have steered clear of matchup relievers for a few years now so the rule would not drastically change the way they build their roster or the way they manage their bullpen. It will require some level of adjustment. Just not a huge one, I don’t think. The mound visit rule worked quite well last year — I can count on one hand the number of times I saw a team run out of mound visits — and reducing the limit from six to four is probably doable. Going down to three in 2020? That seems to be pushing it. The MLBPA, for what it’s worth, reportedly countered MLB’s proposal with five mound visits in 2019 and four in 2020. They’re on board with the idea, just not at the same pace. The Yankees were among the worst mound visit offenders prior to the rule change last year. Last season though, they left multiple mound visits on the board most nights, so they’ve already made the adjustment. Take away one or two more and it seems like they’ll be largely okay. There will definitely be times the Yankees want to conference on the mound but can’t throughout the season. By and large, a mount visit reduction wouldn’t change a whole lot. Several proposed rule changes look like they will have considerable impact on the Yankees (and all teams, really), so lets go through them bit by bit. There’s a lot going on here. MLB is open to adding a 26th roster spot, which means 30 more big league jobs, but they also want to limit teams to 12 pitchers on their 26-man roster? What started out as a good idea turned into a terrible idea. We’re talking five-man rotation, seven-man bullpen, five-man bench. I don’t like the eight-man bullpen/three-man bench roster construction that has become so popular. A five-man bench seems like overkill though. Adding a 26th roster spot is great. Let’s do that. Limiting teams to 12 pitchers is the problem. It eliminates the possibility of a six-man rotation — my guess is more than a few teams would use their 26th roster spot to implement a six-man rotation — and it’s also kinda dangerous, no? You risk overworking pitchers with a 12-pitcher limit. At the very least, you’re encouraging teams to make more shuttle transactions to ensure they have fresh arms in the bullpen. A 12-man pitching staff is a step too far in an attempt to reduce pitching changes and improve pace-of-play. If MLB adds a 26th roster spot, the Yankees would be able to use a spot sixth starter more often, which is something they like to do. Would they commit to a full-time six-man rotation? Eh, I’m not sure. Taking starts away from Luis Severino and James Paxton and giving them to Domingo German seems not great, you know? The 26th roster spot would give the Yankees (and every other team) greater flexibility. Spot starters, a revolving door for the bench and bullpen, you name it. Would be great for flexibility. Now, if MLB were to limit teams to 12-man pitching staffs, even without the 26th roster spot, it would change quite a bit. The Yankees usually don’t let their starters pitch deep into games and that means they’d probably need two true multi-inning relievers in their seven-man bullpen. Guys who could give you two or three innings regularly, not once in a while. (Maybe that’s where German and Jonathan Loaisiga come in?) The 12-man pitching staff puts a lot of strain on the bullpen and would have a big impact on roster construction and reliever usage for the Yankees and every other team. The 28-man September roster limit is so dumb and I’m not surprised MLB proposed it. They want fewer September call-ups because it means less money spent on players. The league minimum salary will be $2,983 per day in 2019, give or take. Limiting September rosters to 28 players means 12 40-man roster players don’t get called up. Twelve players at the league minimum times 30 days in September equals roughly $1.07M less a team is spending on payroll. That’s MLB’s goal here. Not competitive balance. The Yankees are fairly aggressive with September call-ups. They had 36 players on their active roster by time the regular season ended last year. That’s eleven extra players. Being limited to three September call-ups means what, two pitchers and a utility guy? The Yankees wouldn’t get to use their depth — three September call-ups means two of German, Loaisiga, Clint Frazier, Stephen Tarpley, and Tyler Wade would not get called up based on the current roster — to lighten the load on their regulars late in the season. I hate this proposed rule change. September call-ups forever. MLBPA proposed extending the minimum stint on the disabled list and optional assignments from ten days to 15 days. That doesn’t jibe well with the whole “12-pitcher limit” idea, but MLB proposed that, not the MLBPA. Anyway, the union wants teams to stop manipulating their roster and jerking players around. Adding five days to the minimum stints means teams will think twice about sending a player down or putting him on the DL. The Yankees are a fairly aggressive bullpen shuttle team and this proposed rule change would throw a wrench into the way they usually do business. It would make life a little more complicated. The exact details of this proposal are unknown. The union has been pushing for anti-tanking measures and my guess is their proposal focuses on taking revenue sharing money away from tanking teams more than anything. Does that mean winning teams that into pay revenue sharing, like the Yankees, pay less or get some sort of rebate? It’s unclear. This is potentially huge for the Yankees, financially. It could also make no difference whatsoever. It could be that revenue sharing money taken away from a tanking team is redistributed to the other teams that receive revenue sharing rather than given back to the Yankees. Shrug. Specifically, the union wants rookies who finish in the top three of the Rookie of the Year, Cy Young, or MVP voting to receive credit for a full year of service time no matter when they were called up. The same applies to winning the Reliever of the Year award, LCS MVP, World Series MVP, or leading the league in WAR. This, obviously, is an attempt to eliminate (or at least reduce) service time manipulation. Under this proposal Gleyber Torres (third place in Rookie of the Year voting) would’ve received credit for a full year of service time last season, and thus been eligible for free agency during the 2023-24 offseason rather than the 2024-25 offseason. Gary Sanchez (Rookie of the Year runner-up) would’ve received a full year of service time rather than two months in 2016, moving his free agency up. Ronald Acuna, Juan Soto, Cody Bellinger, Kris Bryant, Carlos Correa, Francisco Lindor, and countless others would’ve benefited from this proposal. Props to the union for coming up with a creative way to combat service time manipulation. Will it work? Or will teams be even more shameless about it and keep prospects in the minors for an entire extra season if they’re not ready to contend? Who knows. (Imagine the Blue Jays keeping Vlad Guerrero Jr. down until 2020. Oy vey.) The Yankees will never admit it but they manipulated Gleyber’s service time last year and Severino’s service time in 2016 (his Triple-A stint was juuust long enough to push back his free agency), so this would ding them. This is the union’s attempt to revive free agency (fix your problems now because you won’t get the chance later) and perhaps cut down on tanking because teams that are out of it won’t be able to dump players in July and August. July 31st is roughly two-thirds of the way through the season and that seems like a good time for the trade deadline to me. I feel like teams should be given the opportunity to react to injuries and make deals in late July (and August). Anyway, the Yankees have been active at the trade deadline in recent years and I mean right at the trade deadline. Sonny Gray, Jaime Garcia, J.A. Happ, Lance Lynn, and Luke Voit all came over in the days leading up to July 31st. The big David Robertson trade with the White Sox was made in mid-July and of course Andrew McCutchen came over in late-August. 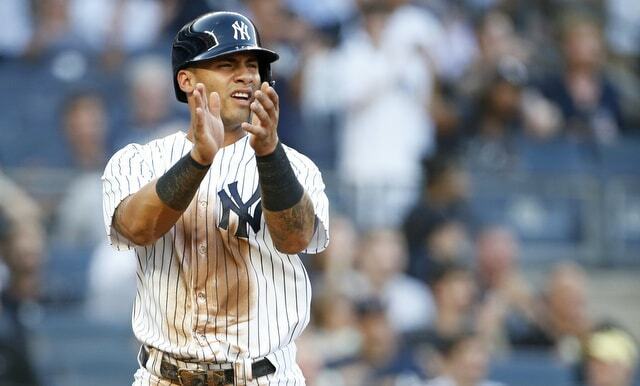 The Yankees, like most teams, have concentrated their moves in mid-to-late-July. I get what the MLBPA is going for here but I think moving the deadline up would be bad for baseball overall. It would extend the dog days of summer and give fans one less thing (trades) to talk about after the All-Star break. Are we really sure this would result in more free agent signings and early trades? 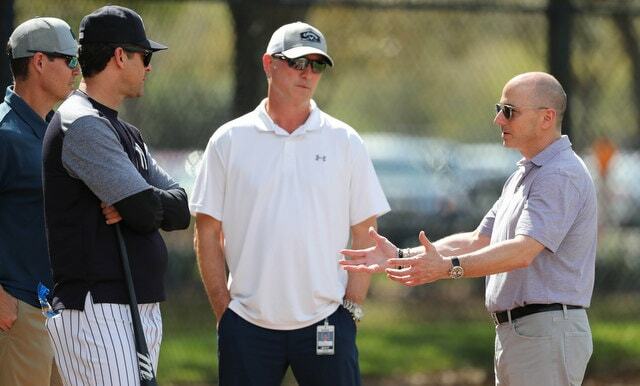 Moving the trade deadline up would have a big impact on every team, especially contenders like the Yankees, who will have less time to survey the market and address weaknesses. MLB also proposed conducting a study on lowering the mound, presumably to help cut down on strikeouts and give hitters a chance to keep up with the game’s continually increasing velocity. The league would look into it — the MLBPA would presumably look into increased injury risk on their own — and then the two sides would discuss the results and figure out what to do, if anything. There is no rule change proposal on the table right now though. The Collective Bargaining Agreement allows commissioner Rob Manfred to unilaterally implement rule changes one year after a proposal. This year he can unilaterally implement a 20-second pitch clock, reducing mound visits from six to five, and the Spring Training/All-Star Game extra innings rules. It’s unclear whether he will actually do it at this point. The two sides are at the table discussing changes, so that’s good, and agreeing to rule changes is preferred to implementing them unilaterally. Any rule change approval, unilateral or otherwise, will almost certainly happen before Cactus League and Grapefruit League games begin in two weeks. That way players (and teams) can use Spring Training to adjust. I think there’s a pretty good chance we’ll see a pitch clock and fewer mound visits in 2019. More substantial changes like a universal DH and roster changes (26th man, 12-pitcher limit, September call-up limit, etc.) are probably at least a year away.